San Diego march to abolish ICE | Fight Back! Marching against ICE in San Diego. 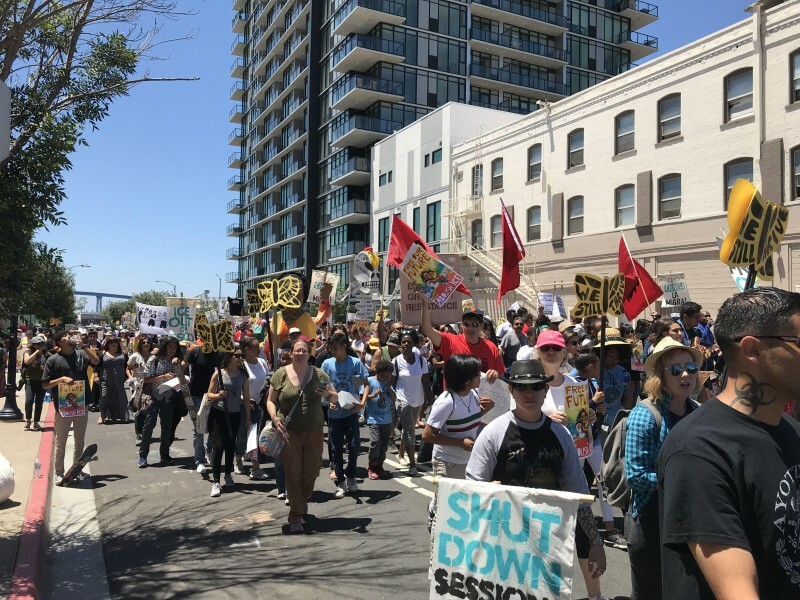 San Diego, CA – About 800 protesters rallied and marched, July 2, to demand the abolition and defunding of Immigration and Customs Enforcement (ICE). ICE is a division of the Department of Homeland Security (DHS) notorious for harassing and terrorizing immigrants, refugees and the Chicano community. 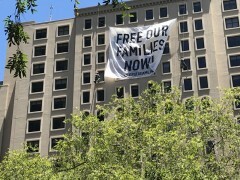 Due to its proximity to the border with Mexico, San Diego has been a focal point for the immigrant rights movement, the struggle against ICE, and now the Trump administration’s vicious separation of families policy. Protesters began the rally with speeches in the famous landmark, Chicano Park, then marched several miles through the city streets to the U.S. Federal District Court building in downtown San Diego. 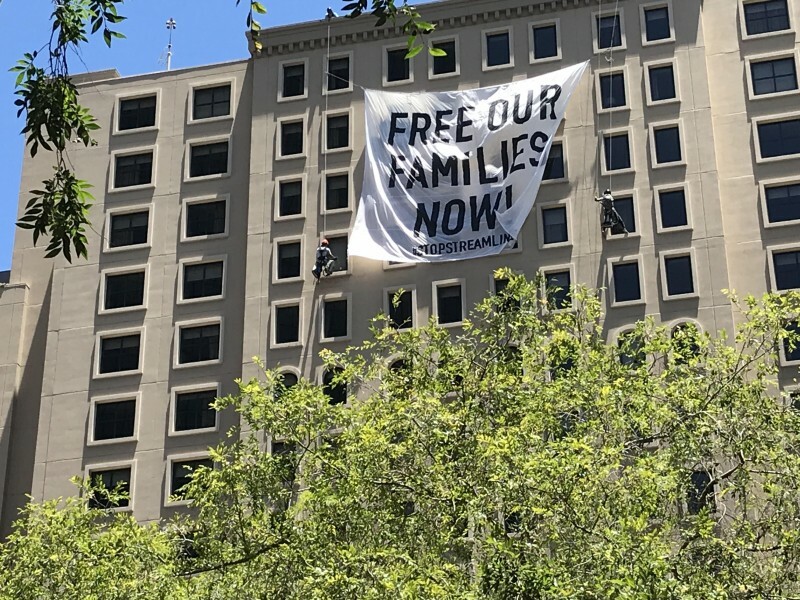 During a brief stop at the Westin Hotel in Horton Plaza, several protesters rappelled down from the roof of the building to drop an enormous banner that read, “Free our families now!” During the march, protesters chants rang out, “This is for the people who are locked inside! Together we can abolish ICE,” and, “Money for health and education! Not for wars and deportation,” and “We didn’t cross the border, the border crossed us!” Upon arrival at the court building, about 20 protesters locked arms in act of civil disobedience, blocking the entrance. Ten were eventually arrested. This day was chosen as a major day of resistance as the Trump administration plans to ramp up raids and separations.